Reliance First Capital, LLC offers many different loan programs to suit a wide variety of needs. Every financial situation requires a unique solution, and understanding all of the options available to you is the first step to success. Reliance First Capital has a mortgage solution for you. 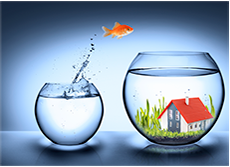 Whether you’re buying your first home or you’re looking to refinance your current mortgage. 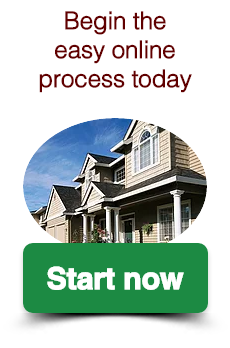 We have access to many loan programs including VA, FHA, conventional, USDA and more. 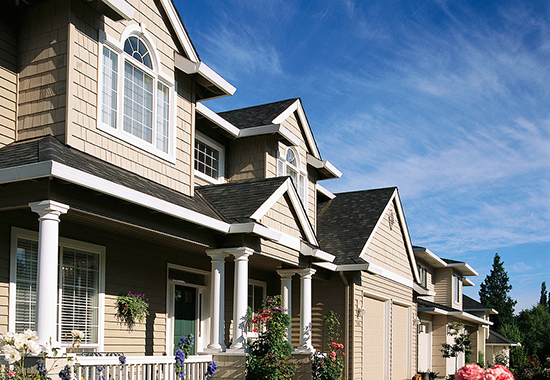 Speak with a mortgage analyst today to help find the mortgage loan for your situation. At Reliance First Capital, we also have loan programs for consumers who don’t have perfect credit. So, if you’re struggling to make payments and/or high interest credit card debt continues to mount, let us help you see if a customized mortgage solution can address your needs. 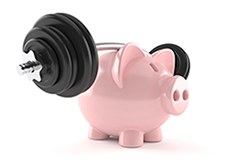 At Reliance First Capital, LLC, we know how important your finances are to you. We also understand that each of our customers has a unique financial situation. As a direct lending mortgage institution, we have a variety of programs and customized loan options to fit your individual needs. Our Refinance Plus Program features government-backed refinancing initiatives to help current home owners lower their interest rates and improve their overall financial health. Customers taking advantage of this program may be able to lower their mortgage interest rates, lower their monthly mortgage payments, and/or switch to a fixed-rate loan program. While many customers use this program to adjust the mortgage on their primary homes, through Reliance First Capital this program can also provide help for those with investment properties and second homes. At Reliance First Capital, our customers can also take advantage of FHA loans, the popular government-insured loan program that has made the dream of home ownership a financially viable possibility for thousands of Americans. Reliance First Capital also assists clients by providing debt consolidation loan programs. Let us help you eliminate high interest rates, late fees and other charges. If your financial needs require other services, Reliance First Capital has many other loan programs. From jumbo loan programs to VA loans and reverse mortgages, our complete menu of loan options is focused on helping our customers achieve their financial goals. Owning a home is a central part of the American dream, but without the right support, it may seem inaccessible. Thankfully, Reliance First Capital is on your side. With a broad variety of services for current and future homeowners, Reliance First Capital is an FHA-approved lender with the experience and knowledge to create solutions for you. Reliance First Capital crafts custom solutions suited to your needs and can provide quick approvals thanks to its in-house underwriting. As a direct lender with a dedicated and knowledgeable staff, Reliance First Capital can make use of any of a number of loan programs to find the right mortgage for you. Whether you need to save money on your monthly payments or reduce your current mortgage rate, Reliance First Capital will work to find a solution that will save you time, money and frustration. The experienced staff at Reliance First Capital works hard to understand your needs and goals to tailor a custom solution for your situation. We have experience helping clients pay off high interest credit card debt, purchase a first home or refinance a mortgage. Let Reliance First Capital put its skill and experience to work for you. Reliance First Capital was founded on the basic principle of custom crafting mortgages for both existing homeowners and prospective home buyers. Every client has unique needs and Reliance First Capital prides itself on creating a customized program tailor-made for every client. In today’s economic climate, interest rates remain incredibly low. This means many existing homeowners can take advantage of refinancing opportunities presented by Reliance First Capital. At the same time, individuals looking for a home loan often find Reliance First Capital to be helpful and knowledgeable in setting up home loan programs with low monthly payment plans. Many people have been put off by the home buying process, due to the various restrictions and conditions imposed by many lenders. Hours upon hours of paperwork and documentation can lead to massive headaches and stress. However, Reliance First Capital is a direct lender, which means we have the resources necessary to develop the right program. Since we are a direct lender, it means that, in many cases, we can set up a fast approval process, as well as provide a rapid closing experience. Reliance First Capital knows how important it is for you to feel secure and comfortable with your mortgage lender. That’s why Reliance First Capital always places the needs of our customers first. We’re here to answer any questions that you might have, as well as walk you through the entire mortgage lending process, step by step. Give us a call today and find out why Reliance First Capital should be your mortgage lender.